Lamezia Terme is one of the oft-frequented cities of the Italy. The city is also categorized as a commune that falls within the province of Catanzaro, Italy. It is regarded as being one of the major cities to be located on the 500-kilometer stretch of coastal land on the Tyrrhenian Sea Side. The exact location of Lamezia places it at a distance of 35 km from Catanzaro. At the same time it is 70 km away from Cosenza and about 135 km away from Reggio Calabria. Lamezia is located near the eastern border of Piana di Sant’Eufemia, which is the coastal plain of the region. This makes it fall in the center of the Tyrrhenian Sea coast, which was miraculously created by the drying of a wide and marshy area. The center of the commune falls at Isthmus, which is exactly midway between the Tyrrhenian and Ionian coast. 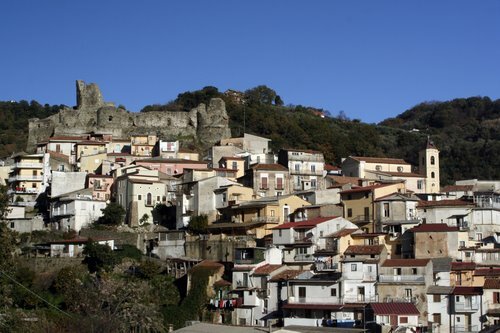 The inhabitants of Lamezia Terme are known as the Lametino in the local language. Larmezia Terme earned it the official title of a commune on 4 January 1968. The regions that come under the integrity of the commune include Sambiase, Nicastro and Sant’ Eufemia Lamezia. The fusion of these communes was considered to be a controversial step taken by the ruling party at that point of time. The objective was to create a stronger entity that would be far more capable of economic development in the long run. This is because it consisted of all the areas that were the leading economical powerhouses at that time. Over the passage of time the objectives for which the commune was developed did come to pass, but there were slight variations in how the government had planned the economic development to come about. Lamezia is plagued by a very powerful and dominant underground mafia that goes by the name of ‘Ndrangheta. As the commune gained economic strength, the Mafioso also gained immense power and control in the territory. This resulted in the communal administration getting sacked at least two times in a matter of 10 years because of infiltrations on the part of the Mafia. The current left coalition that was elected in 2005 has been receiving death threats from the mafia. The origin of this historic region dates back to the ninth century. During that period of time the region was part of the Byzantine Empire. They created a large fortress in the commune by the name of Neo Castrum which translates as “New Castle”. In 1062 Robert Guiscard from the Normand Court founded the Benedictine Abbey of St. Eufemia in the region. The city was also subjected to a devastating earthquake in 1638 that led to the deaths of more than 100 inhabitants. It also reduced Abbey down to ruin. But after that it was rebuilt by the Normans and was further expanded under the rule of Frederick II, as well as the Angevine Kings. However, the quake caused the castle to crumble down into a pile of rubble. Floods and another shaking of the ground again in the 18th century followed up the earthquake.